What exactly makes anyone think David Hogg and company represent the kids that were killed? Maybe Cindy Sheehan’s son who died in the Iraq War agreed with her and maybe he didn’t, but at least that was her son. David Hogg, Emma Gonzalez and the rest of the Parkland kids you see on TV happened to be adjacent to a pile of dead bodies and then ran atop them to bathe in the attention and scream, “Look at me! 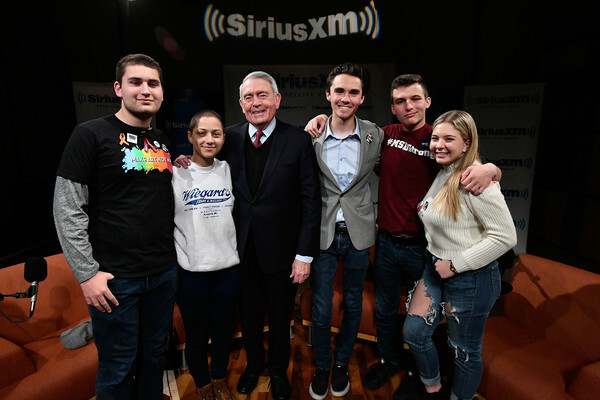 Look at me!” Taking advantage of your dead classmates to get your 15 minutes of fame is disgusting and the liberal media outlets that have aided and abetted them are not any better. For all we know, a majority of the kids who died might have disagreed with the anti-gun control message that’s being pushed and the 15 minutes of fame some of their classmates are using their corpses to achieve. Setting aside their grotesque exploitation of the deaths of their fellow students for their own personal gain, why should anyone pay attention to the Parkland kids when they’re saying things like this? Wow, I’ve got to stop and applaud the amazing brainpower it took to spew out those two sentences. What insight! What a role model for other kids! Why, I haven’t seen a response that persuasive and well thought out since I read the comments of maladjusted trolls on Twitter yesterday. What is the proper response to that genius other than, “Obviously, his parents have failed at their jobs”? The Parkland kids you see on TV may deserve a little sympathy because of their age, but they don’t deserve anyone’s respect or to be treated as if they have something meaningful to say. These kids should go out and get a job. Pay some bills. They should learn about life in the real world as opposed to the version of reality being whispered in their ears by liberal activists. Then, maybe, just maybe, they might say something worth hearing about this subject one day.